This location has a Walk Score of 14 out of 100. This location is a Car-Dependent neighborhood so almost all errands require a car. This location is in the Broadstone neighborhood in Folsom. The closest park is Crescent Ridge Park. This location is in the Broadstone neighborhood. 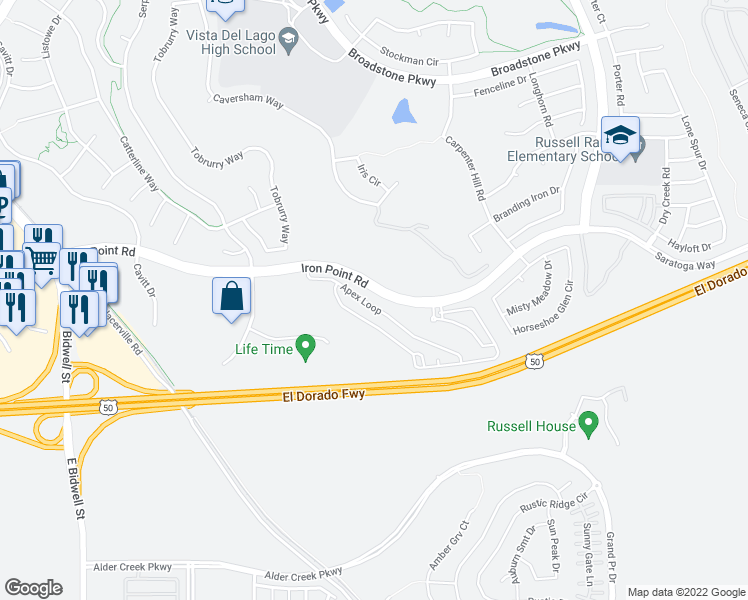 Broadstone is the 4th most walkable neighborhood in Folsom with a neighborhood Walk Score of 34.